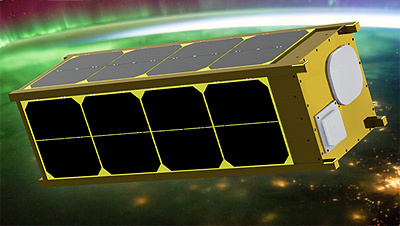 The UNITE (Undergraduate Nano Ionospheric Temperature Explorer) is University of Southern Indiana’s 3U CubeSat mission to make a series of global measurements in the largely unexplored lower ionosphere. CubeSat temperature measurements to compare against a thermal model. UNITE is to to probe plasma in the lower ionosphere to measure both electron and ion densities. It will measure temperatures throughout its flight and importantly in the last stages of reentry. The archived data will be used to compare against modeled drag throughout flight. It was funded through National Aeronautics Space Administration (NASA) Undergraduate Student Instrument Project (USIP) and was selected in 2017 by NASA to be launched as part of the ELaNa program. The satellite was launched to the ISS in late 2018 and was deployed on 31 January 2019 from the ISS.